Looking for movie tickets? 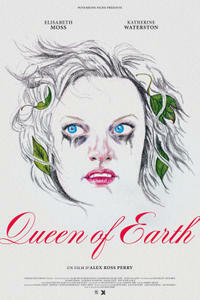 Enter your location to see which movie theaters are playing Queen of Earth near you. Catherine has entered a dark period in her life: her father has recently died, and on the heels of his death she's dumped by her boyfriend. Catherine heads out to her friend's lake house for relaxation. However, relaxation proves impossible to find.